Some people are huge fans of the Roaring Twenties while others wish they could go back and live out their days in the Flying Forties and yet there are still plenty who wish they grew up in the Swinging Sixties. 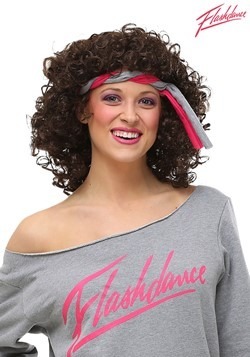 However, we think that the greatest decade of them all is obviously the 80s, also known as the Decade of Decadence. A truer nickname has never been given to a decade. Show everyone how much you enjoy indulging in the pleasures of luxury when you dress up in this 80s Height of Fashion Women's Suit. 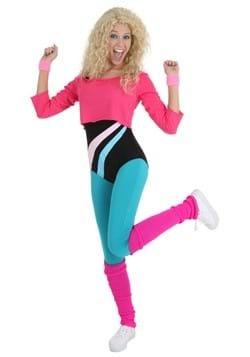 This costume may seem like a very vibrant and rather out of style jogging suit but back in the day, this was as high class as fashion could get. This ensemble is comfortable, it's colorful, it’s the perfect blend of both casual and classy. With these fashionable duds, whether you’ve got a sporting event to cheer at, a charity gala to host, a night of dancing at the clubs, or even a light jog ahead of you, you’ll look more than ready to take on the task, head first! This outfit is made up of 100 percent polyester. 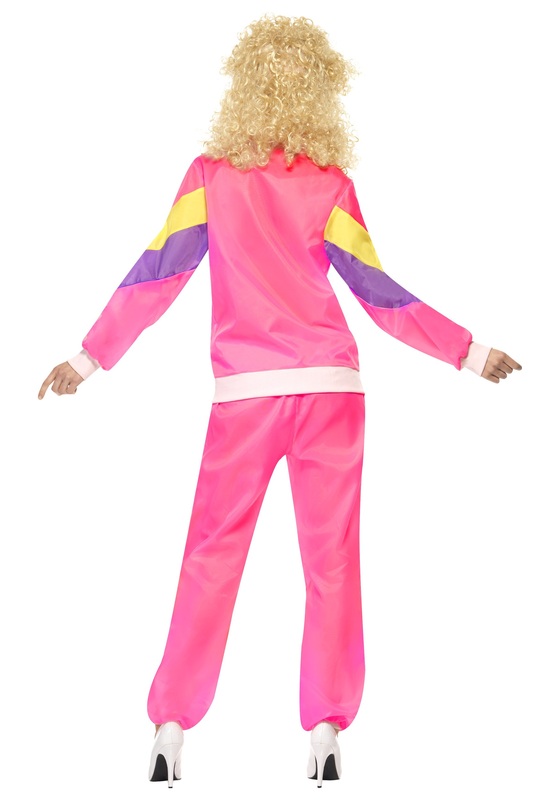 Both the jacket and the pants feature hot pink as the main color and then yellow and purple highlights are on the arms, chest, and the lower legs. The jacket zips up in the front and is decorated with faux pockets. 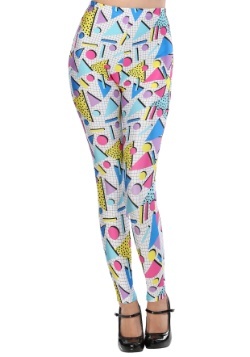 The pants have an elastic waistline to ensure a comfortable fit. Bring everyone back to the good old days when the hair was bouncing and neon lit up the nights! 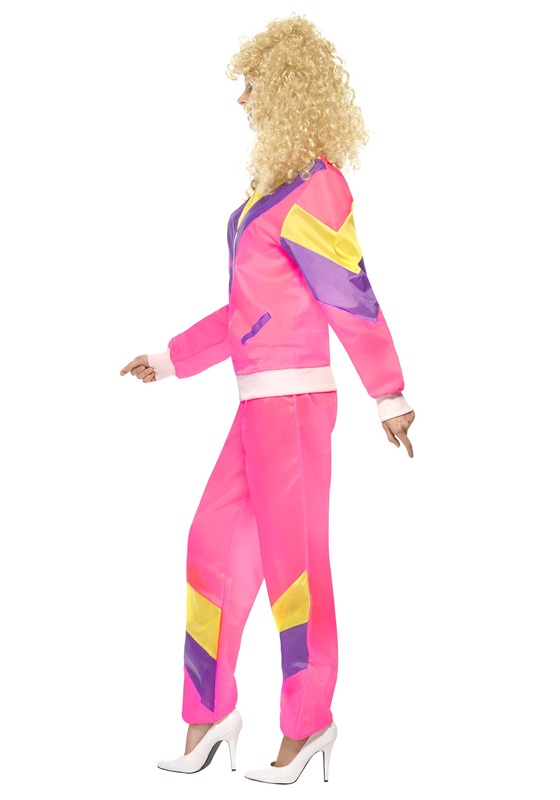 Toss on this 80s Height of Fashion Women's Suit and remind everybody which decade was the most fun. 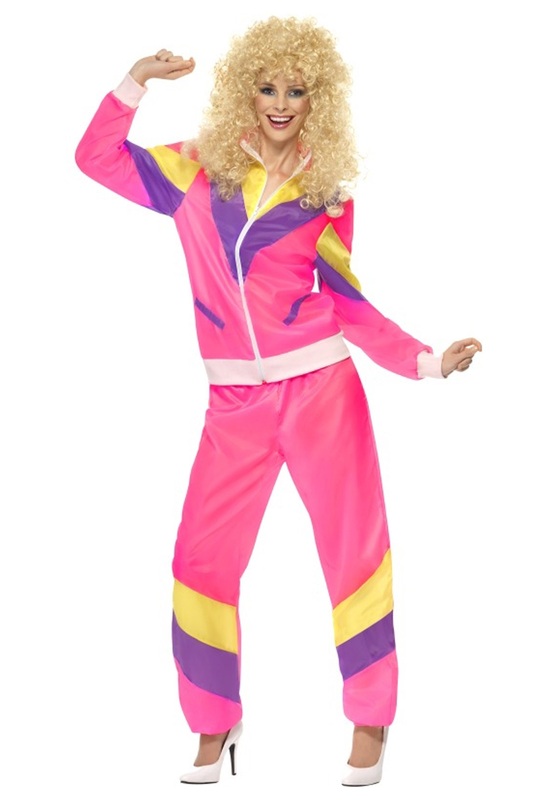 Personally, we’d choose a vivacious jogging suit over a lackluster cocktail dress any day of the week.